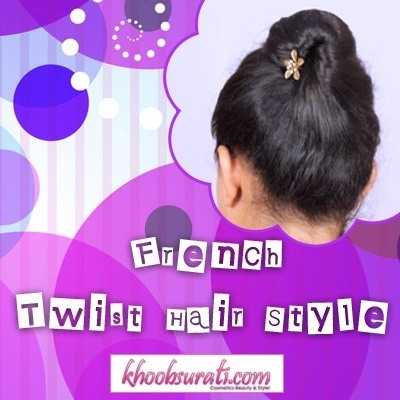 Step 1: Comb Your Hair Neatly to Remove Any Tangles and Make Them Smooth. Step 2: Hold the Hair Together Like a Pony and Twist Them Till the Middle of the Pony and Make a Roll as Shown. Step 3: Once You Have Secured the Roll, Cover It with Surrounding Hair and Fix It with Bob Pins. Step 4: Add a Fashionable Hair Accessory to Accentuate Your Hairstyle. As You Can See This Awesome and Cool French Twist Hair Style Is a Special One to Carry and Highly Matches with Your Urbane Persona. So Try This Out Now for Yourself.